We all make mistakes. It’s part of life and being human. But when renovating, building or extending your home you want to make sure that everything is accurate. It can be an exhausting, stressful and downright expensive process to fix easily avoided mistakes. Today we’re going to be taking a look at 5 common roofing mistakes and how to avoid them! New and replacement roofs aren’t the cheapest investment, but there are good reasons for this. With a cheap roof comes cheap materials and cheap labour. There are some things in life that you shouldn’t skimp on, and a roof is one of them. A cheap roof is prone to damage and wear and tear. You’ll probably find it will need replacing again in the not too distant future. Avoid this common mistake and spend the money on a quality product and company. That’s not to say that you shouldn’t look good deals. Just remember that quotes that seem too good to be true probably are. Another mistake that occurs is when tiles get mismatched. This often occurs when roofing companies use different suppliers. 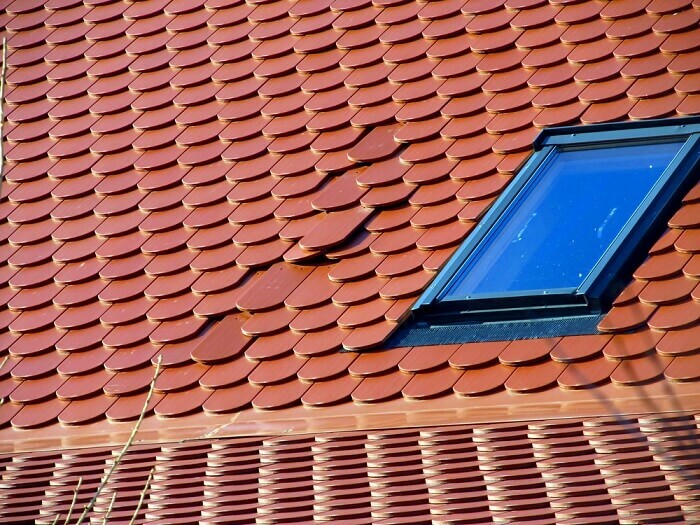 Roofing tiles come in batches, so choose a company that has a steady and consistent supplier. This way you can avoid this from happening and ensure a consistent, attractive roof. Nail failures are another common mistake and they can be surprisingly hard to spot. Nailing will determine the strength of your roof, so it’s important that all your tiles get nailed correctly. Some contractors will sacrifice quality for speed and do a substandard job. To avoid this, pick a roofing company with years of experience. Also, try to pick one that specialises in quality roofing materials like Terracotta tiles. Flashings are parts of your roof that keep it waterproof. Quite often, roofing companies will re-use existing flashings or not install them at all. This is because they either want to save some time or they just don’t have the experience. When choosing a roofing company, make sure that they know how to replace, install and repair your roof’s flashings. The slope (or slant) and pitch of your roof are both important. They will determine what type of materials the roofer will need to use to stop water from getting in. Incorrect slopes and pitches can cause leaks, which are annoying, but also dangerous. After all, you don’t want water anywhere near your electrical wiring! One way to avoid these common roofing mistakes is to use a professional roofing company. This company should have extensive experience in roof repairs, replacements and new installations. ReKote Roofing and Restorations is your local and experienced team in the Wollongong and Sutherland Shire areas. We specialise in terracotta tile installation, roof repairs, restorations, and more. To learn more, please give us a call today!